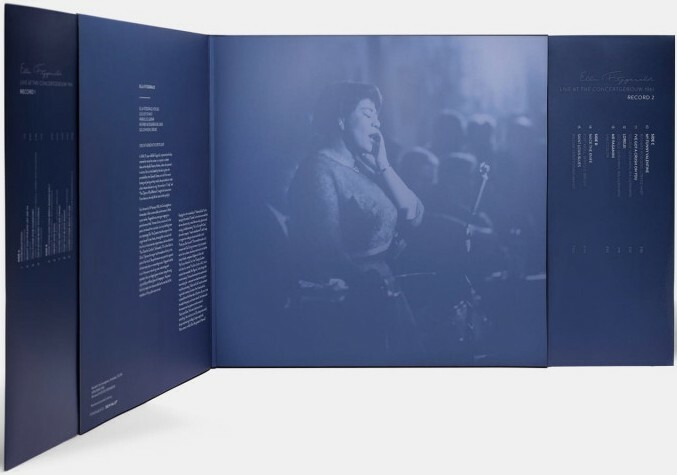 A previously unreleased recording of Ella Fitzgerald - Live at the Concertgebouw (1961) is presented by Lost Recordings from Devialet and is limited to 900 hand-numbered copies. The box set contains a double album and a download card for access to digital files in MP3 and AIFF 16-bits formats. On February 10th 1961, at the legendary Concertgebouw in Amsterdam, Fitzgerald sang to a packed concert hall following a memorable performance in Berlin a year earlier. Norman Granz introduced Lou Levy who had long been accompanying Ella. The quartet took the stage with the singer herself. In her fresh, almost girlish voice and that hint of characteristic impertinence, she launched into “Too Close For Comfort”, followed by “On A Slow Boat To China”. Fitzgerald settled in as if she were in her living room, welcoming each spectator like a privileged guest and each song she sang, a gracefully proffered glass of champagne. The pieces were kept short because to see that all the members of the public were served. Ranging from the melancholy of “Heart And Soul” to her teasing in the midst of “Lorelei” when she announced that she was about to strip, overall she was witty, dynamic and rousing. There would never be a dull moment with Ella. In an attempt to allow you to relive the powerful emotions of a live experience, the aficionados behind The Lost Recordings collection works to revive legendary artists. It took a team of highly skilled sound archaeologists over a year to find the first legendary recordings, buried in the immensity of the world's sound archives. 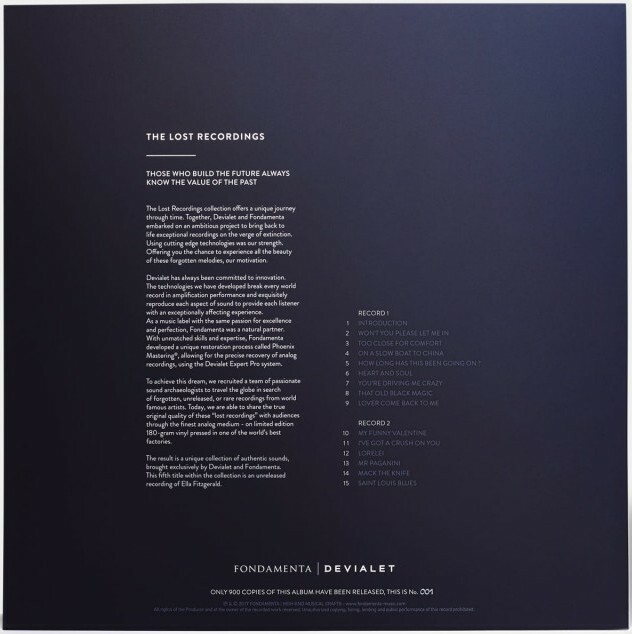 Using Devialet Expert technology, Fondamenta developed Phoenix Mastering, a unique audio excavation process designed to recover the full richness of analogue tapes. Vinyl is the ideal medium for capturing the warmth and character of a vintage recording, it takes you right to the core of the perfectly rendered music. 180g vinyl is used for the pressing which is, of course, a natural choice for such treasured recordings. Produced by one of the finest vinyl manufacturers in the world, it features an exclusive collector’s edition design. 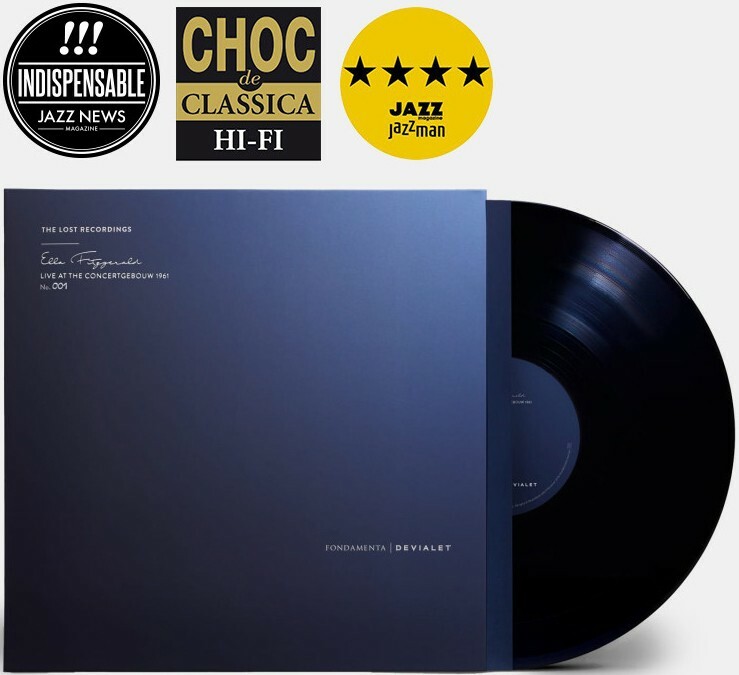 Recorded at Concertgebouw, Amsterdam, 18.II.1961 MONO P 1961 VARA, Remastered & P 2017 FONDAMENTA, this has garnered awards such as Jazz News Indispensable, Choc de Classica, 4 étoiles Jazz Magazine.